Elementary and middle schools around the Bay Area are always looking for the best use of integrating technology into education. In 2016, local schools participated in the Silicon Valley Education Fund, to explore the new and latest in educational technology. A couple of the schools to participate in this program (Ocala Steam Academy and Montclaire Elementary), chose to use the Makers Empire 3D Printing Learning Program as a way to explore 3D printing and design to enhance their classroom. Many schools view 3D printing and design as a great way to improve their STEAM curriculum, however the schools discovered there was much more to offer. Jennifer Auten is a 2nd grade teacher from Mont Claire Elementary School in Los Altos, CA. While she loves integrating technology, in particular, iPads, into her classroom teaching, she had no prior experience with 3D printing until she started using Makers Empire‘s 3D printing learning program. She was kind enough to share her experiences. How Did Your Students Respond To Makers Empire? How Have The Students’ Skills Developed? What Do Your Students Like About Makers Empire? What Has Been Your Favourite Lesson So Far? What Are Some Recent Projects? How Has Using Makers Empire Changed Your Teaching Practice? Have There Been Any Other Benefits? 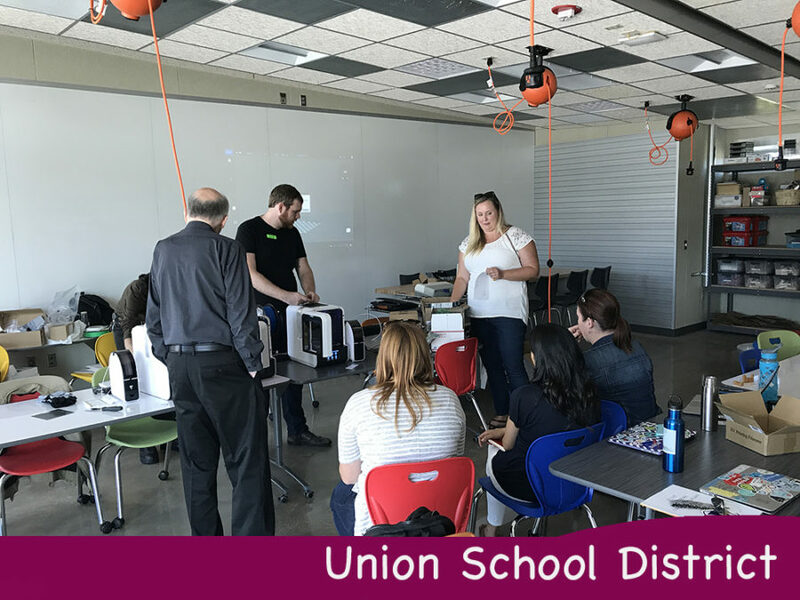 Now other Santa Clara schools such as the 6 elementary schools at Union School District have also adopted the Makers Empire 3D Learning Program. Apart from the Makers Empire Learning tools, teachers also receive extensive professional development. This is critical to make sure they are comfortable integrating this technology into their classroom. Professional development covers curriculum integration, software, hardware and best practices around utilizing design thinking. All these schools are helping their students become better problem solves whilst getting a 21st century education! See an example of project based learning in the classroom. To learn how we can help your school please choose one of the below options. Speaking to a consultant(Book Live Demo) is the best way to find out how best to implement 3D printing and design into your school. Pricing table with an Table ID of "division1c_598011969edf3" is not defined.